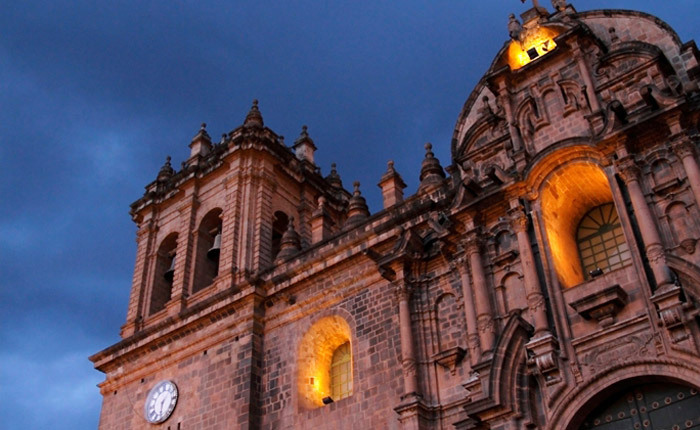 Take the day to acclimatize to the altitude in Cusco. 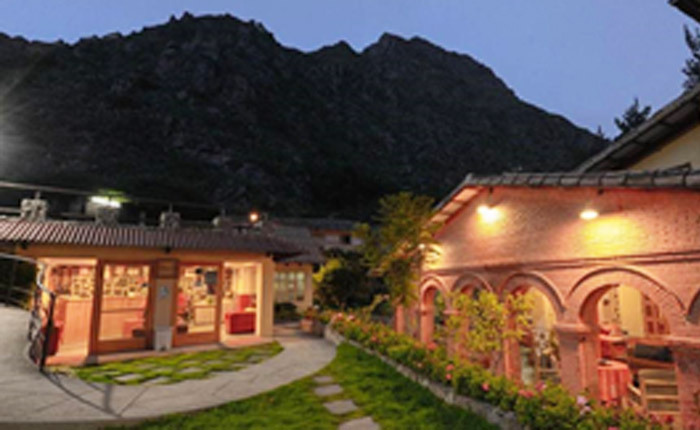 Your full-day Sacred Valley tour begins with a scenic drive to Pisac, where you will visit its famous, lively market. Hundreds of traditionally-dressed artisans and sellers journey from surrounding villages to sell their crafts and produce at this market. Ceramics, carvings, weavings, and jewelry are popular items. 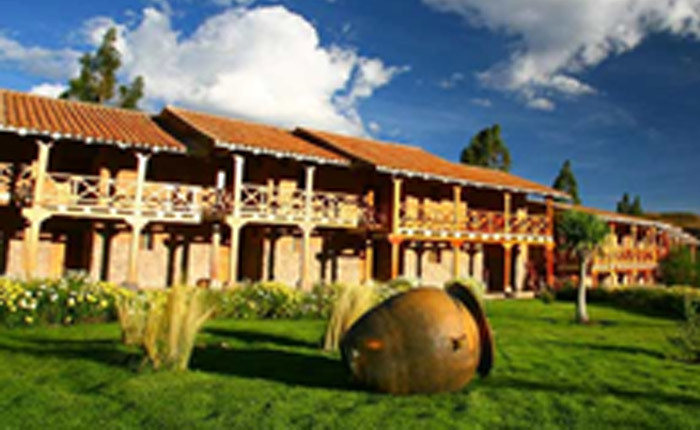 At the end you will be transferred to your hotel in the sacred valley. Day 3. Inka Trail, Cusco - KM. 82 Wayllabamba. 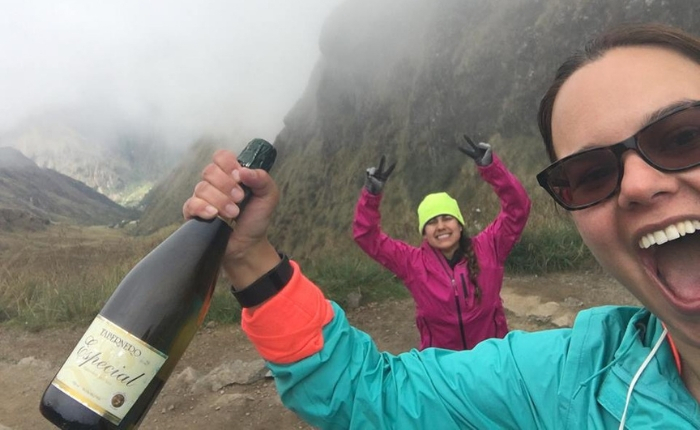 You’ll have an early morning pick up and transfer to the Sacred Valley area where you’ll begin the spectacular hike crossing the Piscacucho Bridge, which leads to the Inca Trail. Our first leg of the trail leads us to the Patallacta Lookout where we can admire the Impressive Inca town of Patallacta ( 2700 m.a.s.l.). From Patallacta, we’ll continue to the Kusichaca Valley, passing the communities of Tarayoq, Hatunchaca, and Wayllabamba, where we’ll set up our campsite at (3000 m.a.s.l). Today’s hike will consist of 7 km – 5 hrs. Meals: snack, lunch, tea time and dinner. Day 2 will be one of the more challenging days as we ascend from 3000 meters to 4 200 meters above sea level. 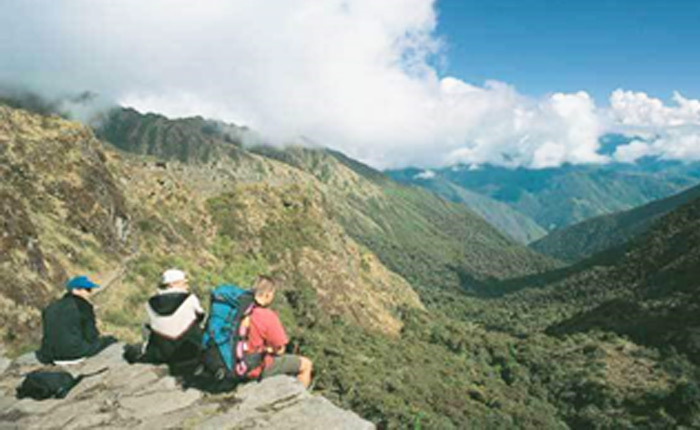 On the way you will be astonished by a cloud Forest, Beautiful Queuñales ( Queuña trees, Indigenous tree ), likens, Bromeliads, Orchids, Birds and also The Huayanay Glacier, which is a part of the Vilcabamba Range. Today’s hike will be total approximately 7hrs and will be more of a steep climb. The campsite will be at 3600 m.a.s.l. 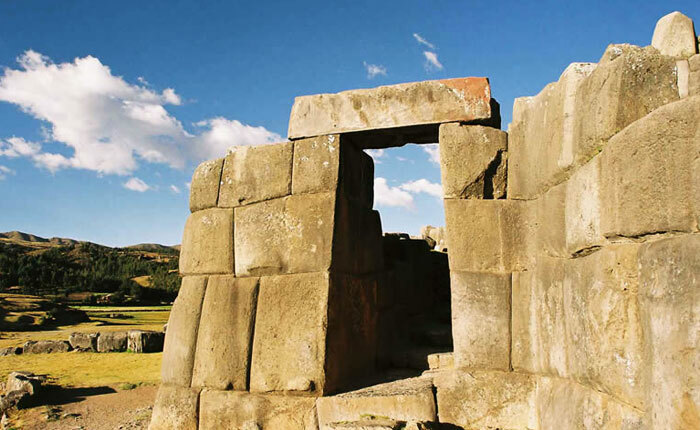 Today’s hike will pass by various archeological sites including Sayacmarka and Chaquicocha ( Dry Lagoon, 3 600 meters ). 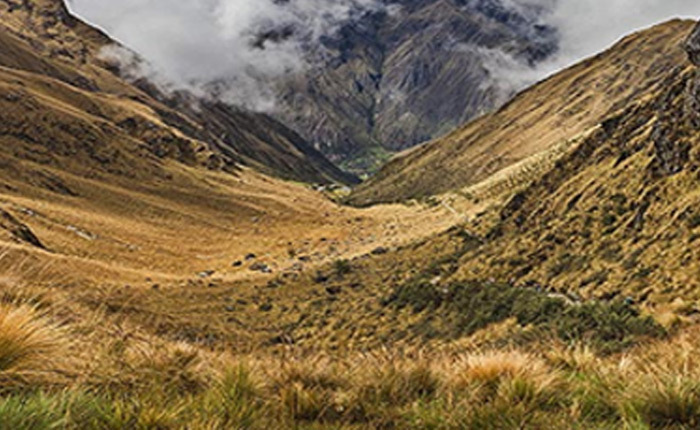 We’ll pass through the first Inca Tunnel reaching Phuyupatamarka or the Cloudy Place on our descent towards Wiñayhuayna which is the last campsite on the trail. Today’s walking time will be 9 hours. Meals: snack, lunch, tea time and dinner with desert. 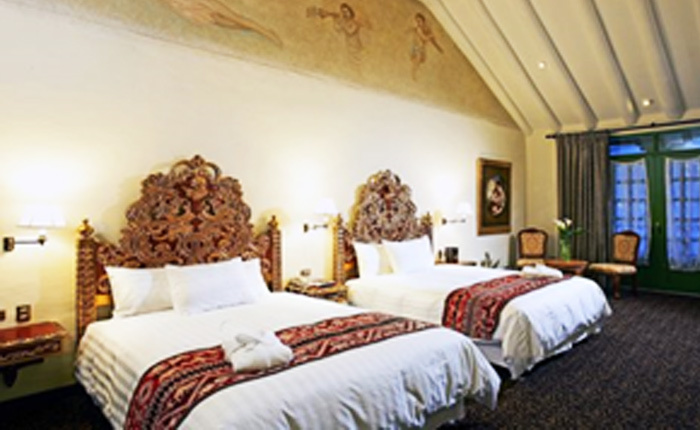 You’ll have a very early wake up call today on our way to the ruins of Machu Picchu. 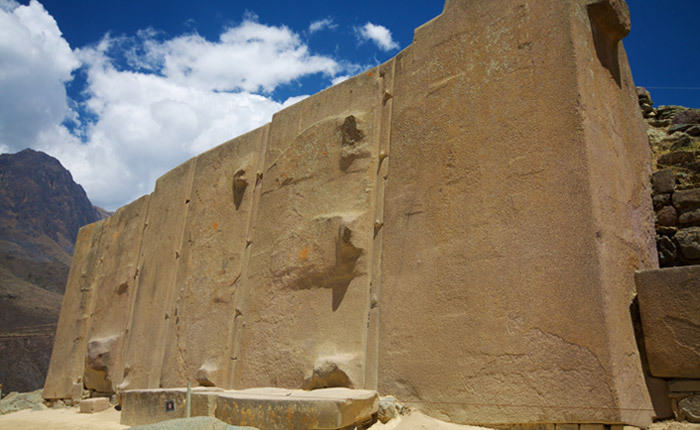 It will take us 1 hour and 10 minutes from Wiñayhuayna to reach the Sun Gate “Inti Punku”. You’ll have time to take in the beautiful scenery and enjoy the panoramic views of the ruins. 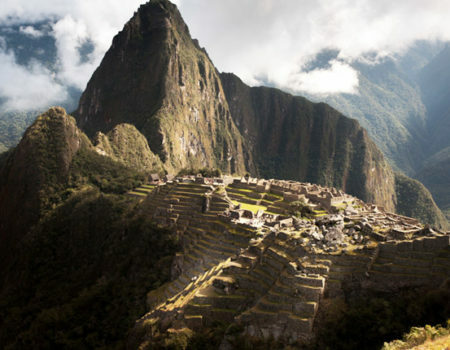 Upon arrival inside the ruins, we’ll have a guided tour of Machu Picchu and plenty of time to explore on your own. 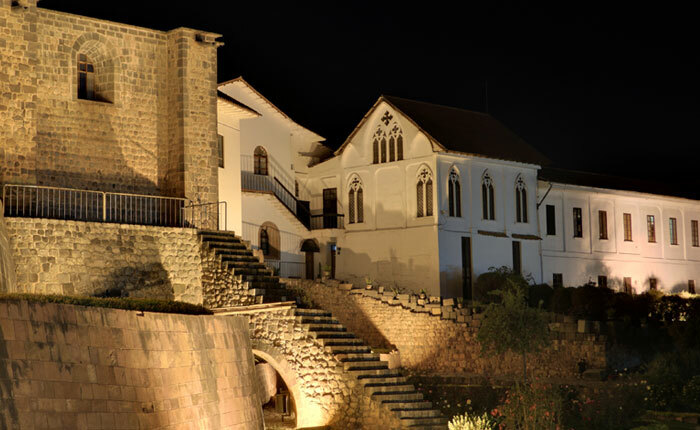 At the end you will be transfer to the town of Aguas Calientes to take your train back to the city of Cusco. 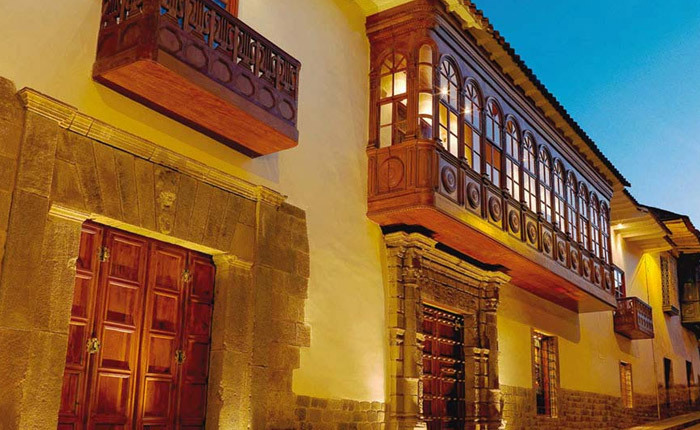 In Cusco you will be transfer to your hotel. 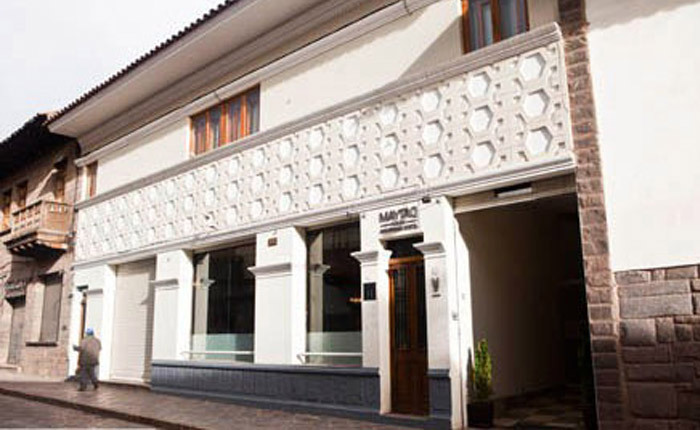 After breakfast, you’ll be transferred to the Cusco airport for your flight to Lima. 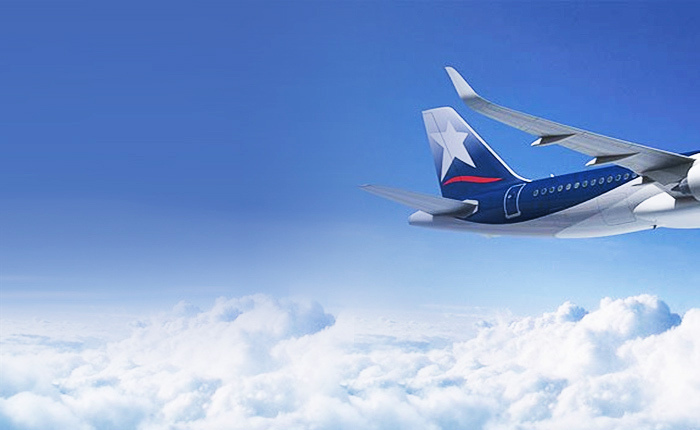 In Lima , take your flight back to home. 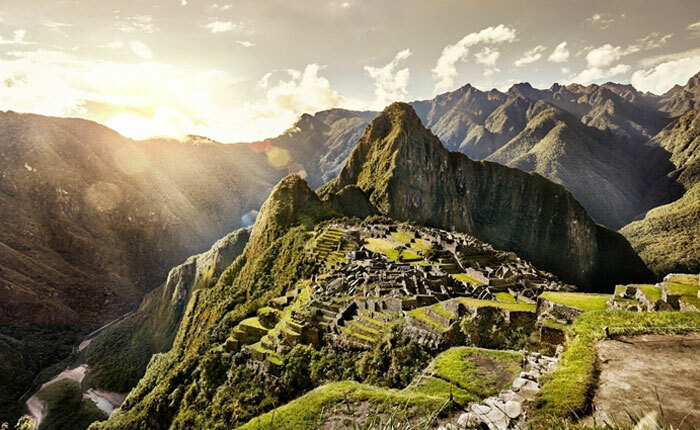 A passport valid for 6 months after the date of your arrival to Peru is necessary for all travels. 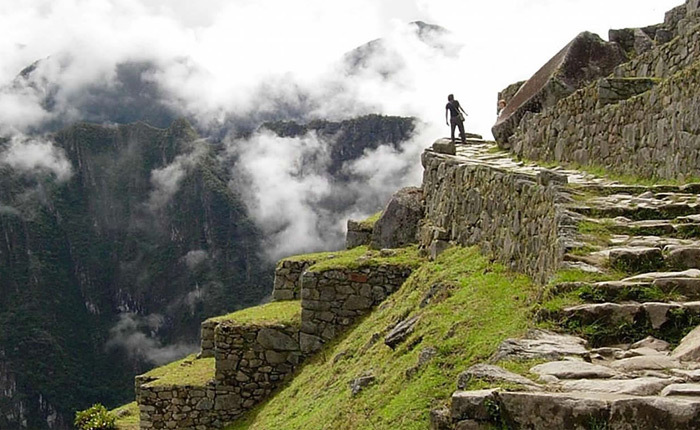 Program 4 days – 3 night Inka trail . 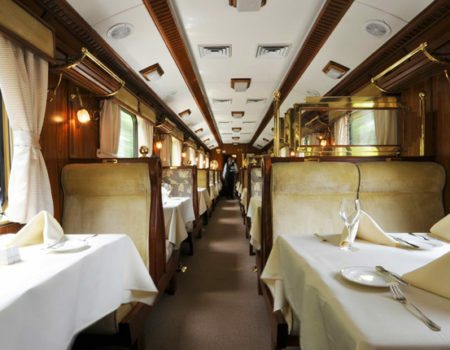 Machu Picchu expeditions train servicie to Ollantaytambo. Camping equipment ( tents, mattresses, tables and seats, cooking tent and eating tent). Bus down to Aguas Calientes from Machu Picchu. 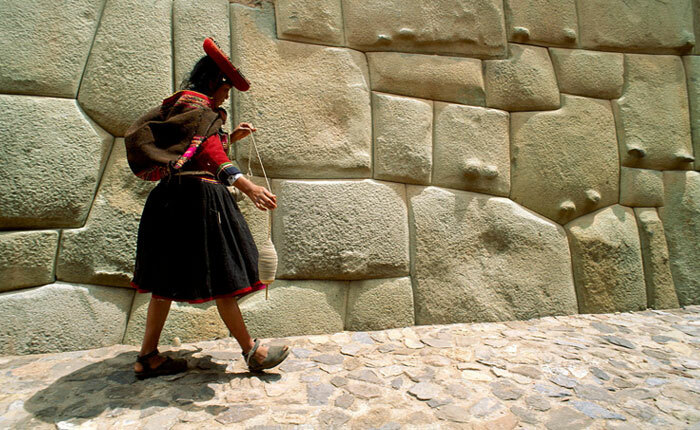 Entrance fees to Machu Picchu. Expeditions Train ticket from Aguas Calientes to Cusco. 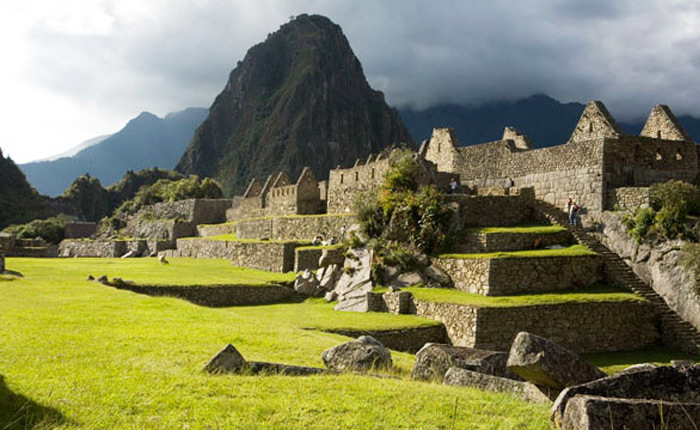 This 8-Day Peru adventure includes the 4-Day Inka Trail to Machu Picchu – one of the top treks in the world! 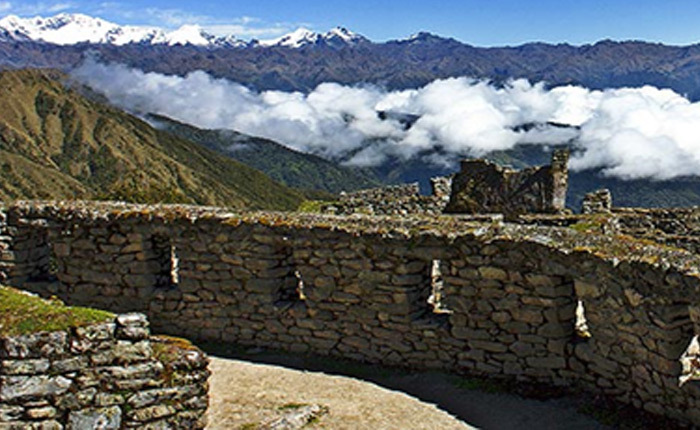 You’ll explore the Incan ruins, amazing Andean scenery along with a magical tour of Machu Picchu. 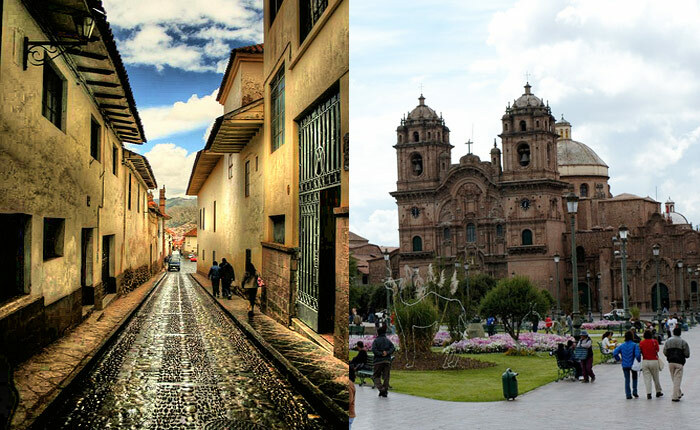 This Peru tour also includes excursions of Cusco city and the surrounding ruins of Cusco along with a full day tour of the Sacred Valley of the Inkas. 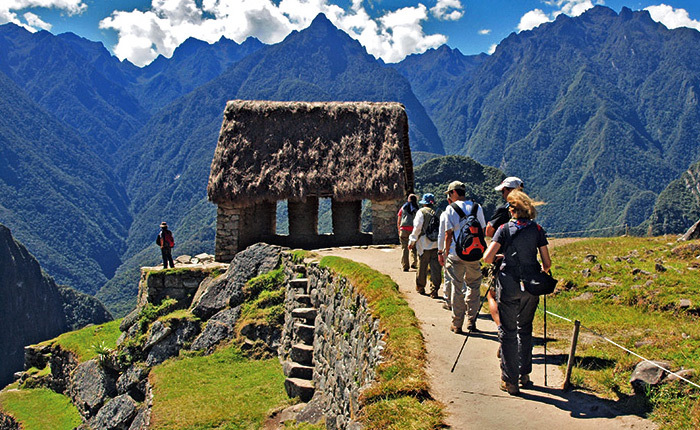 Enjoy this dynamic Inka Trail adventure and that provides history, culture, nature and the challenge of trekking to Machu Picchu. 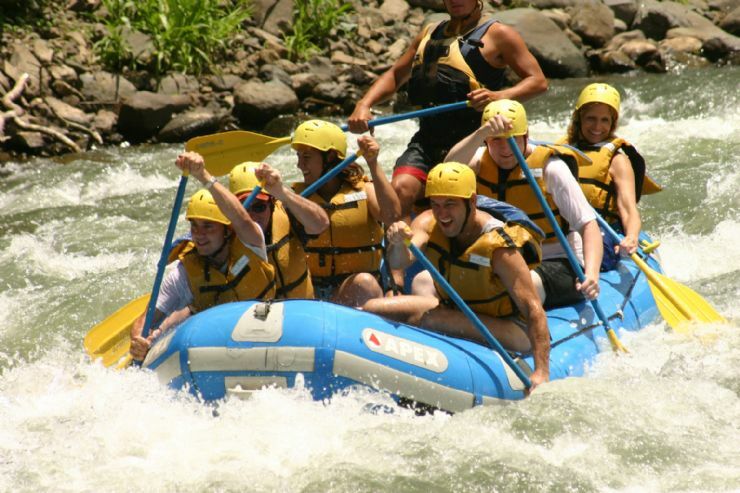 The Cusco region offers exceptional opportunities for fans of river rafting. 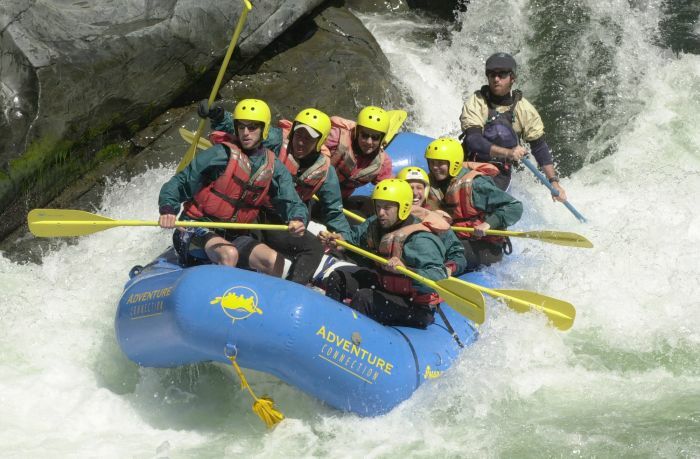 The rivers, both the Apurimac and the Urubamba river are good and the scenery fabulous. 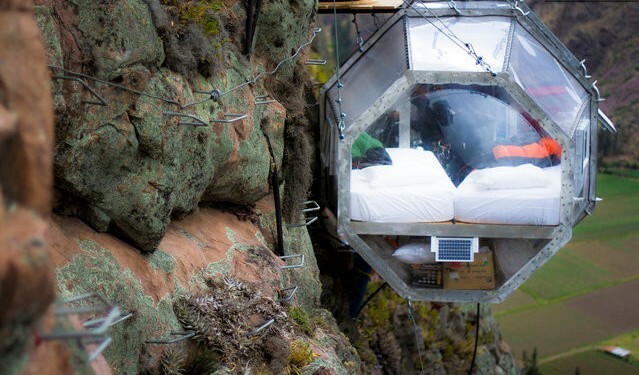 Located in the Sacred Valley of Cuzco, Peru, the exclusive Skylodge offers you the chance to sleep within a completely transparent hanging bedroom, that allows you to appreciate the impressive view of this magic and mystic valley. 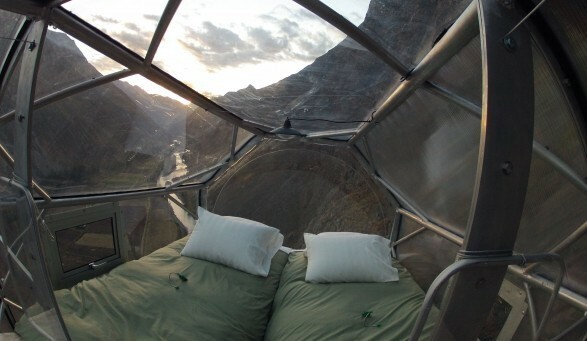 To sleep at Skylodge, people must climb 400 mt. 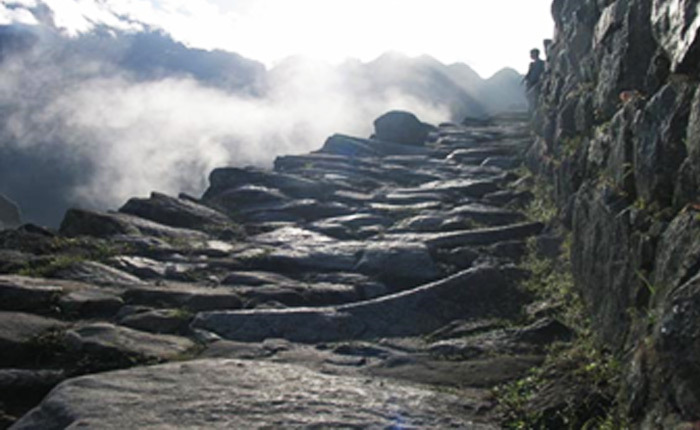 of Via Ferrata or hike an intrepid trail through ziplines. One night at this place will make your dreams come true. 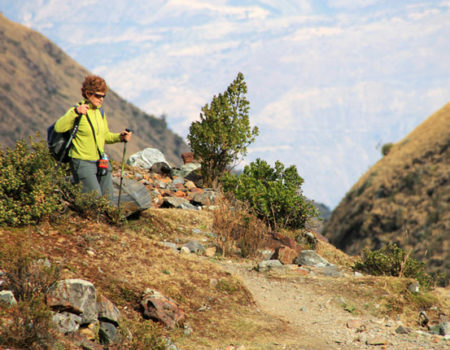 The Salineras de Maras are about 10km off the road to Maras on a clearly marked, rough, unpaved road. 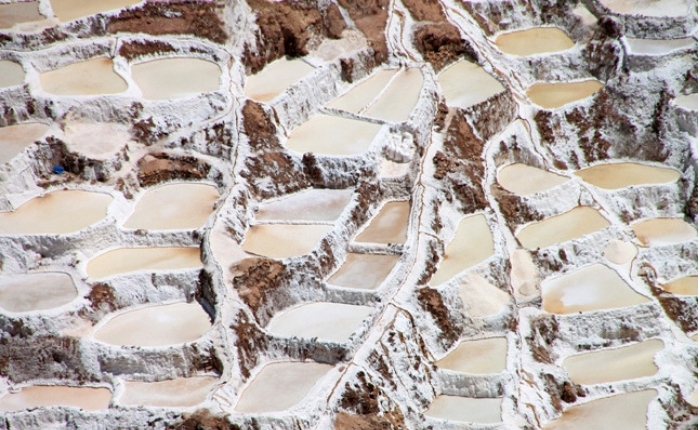 These are pools on the mountainside that are used to collect salt. 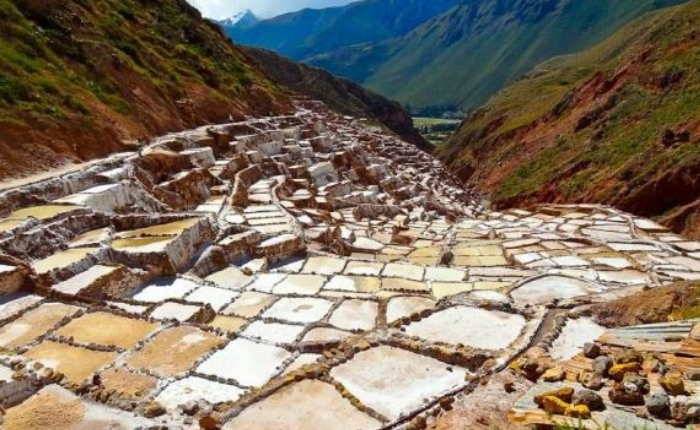 The soil in the Maras region has large amounts of salt in it, and a saline underground stream runs to the salineras. Here, the water is diverted into hundreds of pools, which are then sealed off, and through evaporation salt is left in the pools. Each pool is owned by a separate family, who collects the salt to sell. The sight of the salineras is truly unique, with hundreds of white terraces against the green mountains and the blue skies, and creates some wonderful photo opportunities. 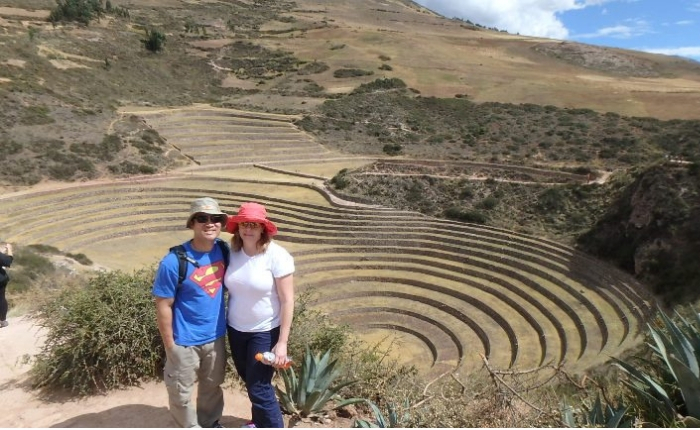 Moray is a very different Inca site, about 7km beyond Maras, and was used as an agricultural experimentation centre. 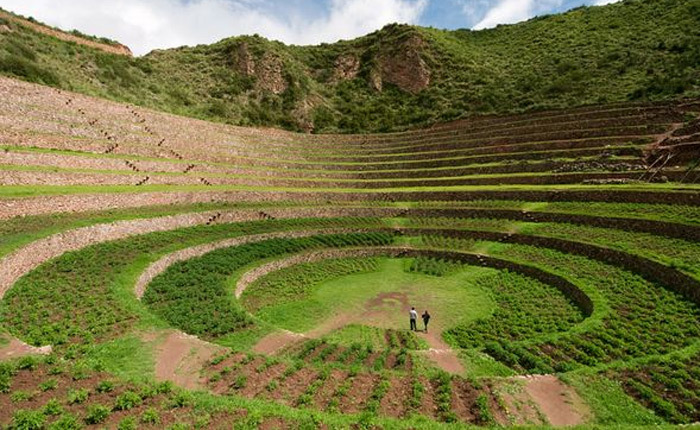 It consists of many levels of terraces in concentric circles at different elevations, and each different level was used to try out different crop strains. Due to the position of Moray, the temperature of the different terraces can vary significantly, creating very different climatic conditions in a very small area. 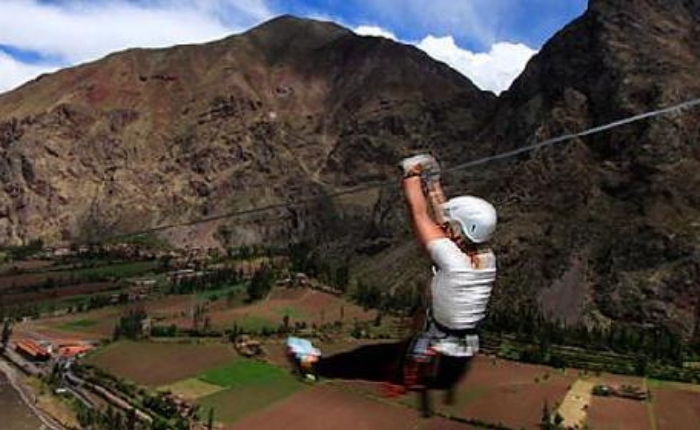 The ZIP-Line Sacred Valley offers the opportunity to people of all ages can fly this magnificent place. 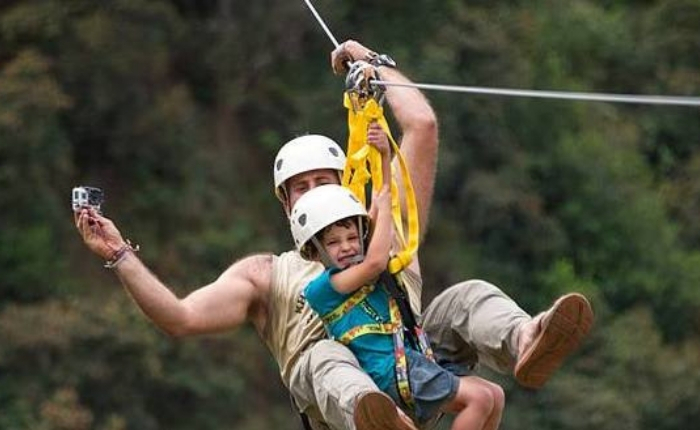 A safe and fun way, the zip-line It has 6 lines or cables 100 to 500 meters, for a total of 2000 mt. 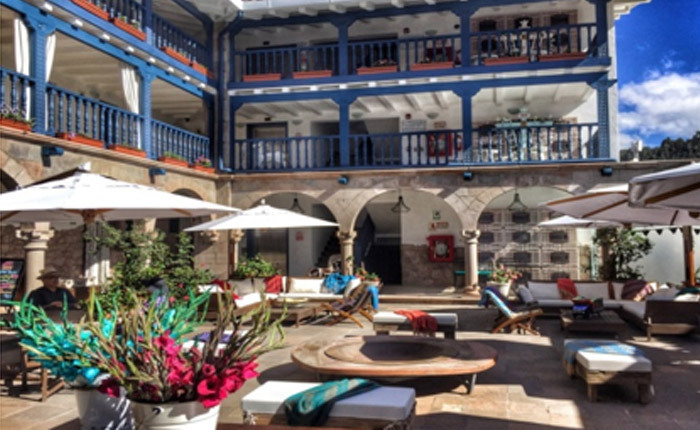 Explore the magic of Peru through our personalized tours and take-in the very best the country has to offer; the charm of its people, colorful festivals, geographic diversity, culture, history, and amazing food. Delve in the Colca Canyon.